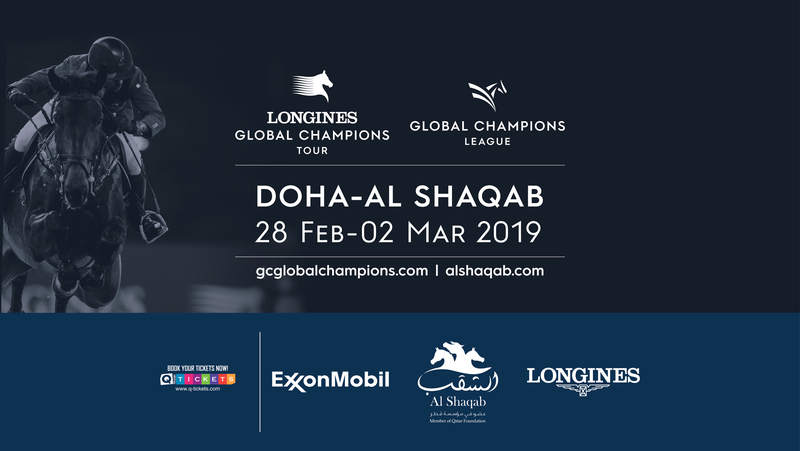 Tickets for the first event of the 2019 Longines Global Champions Tour and GCL season are now online, complete with a full schedule of three-day thrilling action for LGCT Doha. The electrifying launchpad to the 2019 season at AL SHAQAB, a world-class equestrian facility and part of the Qatar Foundation, will welcome the top international horses and riders from around the world. In collaboration with the Tour since 2008, Qatar has continued to build on its reputation as a global sports destination and a hub for major international sporting occasions. Leading events such as the Longines Global Champions Tour and GCL have been part of this evolution and Qatari national riders, including Sheikh Ali bin Khalid Al Thani and Bassem Hassan Mohammed - both of whom competed with the Rio Olympic Qatari Show jumping team - are increasingly prominent on the international show jumping stage. To book tickets, please click here. For a full schedule please click here.